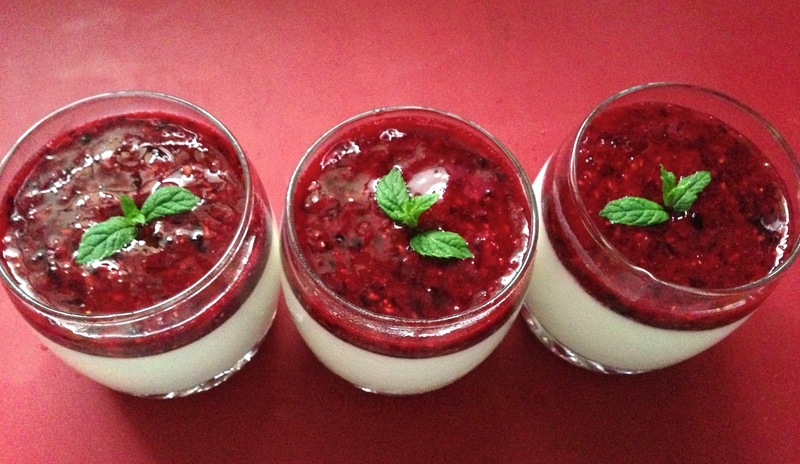 There's nothing easier than making a panna cotta! Oh yes! You really don't have to be a kitchen ninja to make this classic italian dessert! 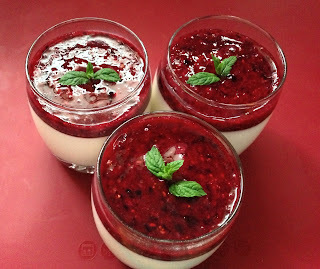 Panna cotta means cooked cream in italian. Just look at these ramekins, how could someone not love that creamy, sugary pudding? Simple and very fast to make (sad story: the chilling time is a torture!). Im warning you that pudding is addictive...AH-DIC-TIVE! Begin by letting gelatine sheets soften in a large bowl of water for 10-15 minutes, or until they are completely soft. Scrape one side of the vanilla pod and add the beans to the whipping cream together with the vanilla pod. Remove saucepan from heat when all the sugar has dissolved. At this point you can toss away the vanilla pod. Add the soften gelatine to the hot cream and stir with whisk until all the gelatine has dissolved. Refrigerate for atleast 4 to 5 hours. Prepare the red berries coulis by blending the berries with the sugar until completely liquid smooth. To unmold the panna cotta, dip the ramekins in cold water. 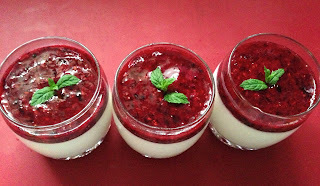 Or if you prefer, serve the panna cotta in the ramekins themselves, (no need to unmold). Top with the red berries coulis.